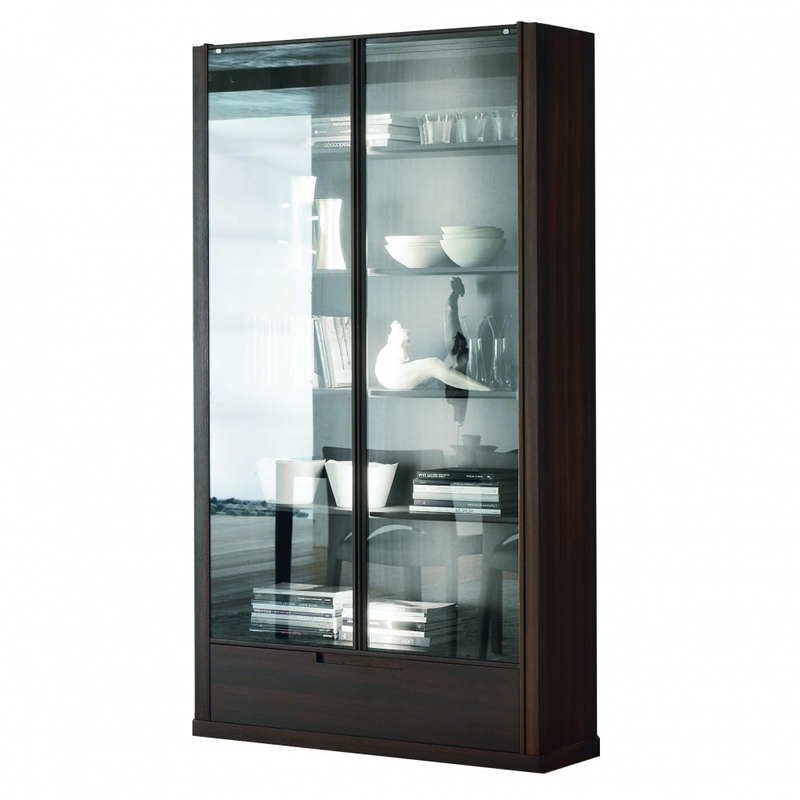 Bookcase in heat-treated or black oak or matt lacquered MDF with drawer. Hide shelves. Tempered glass door. LED lighting.